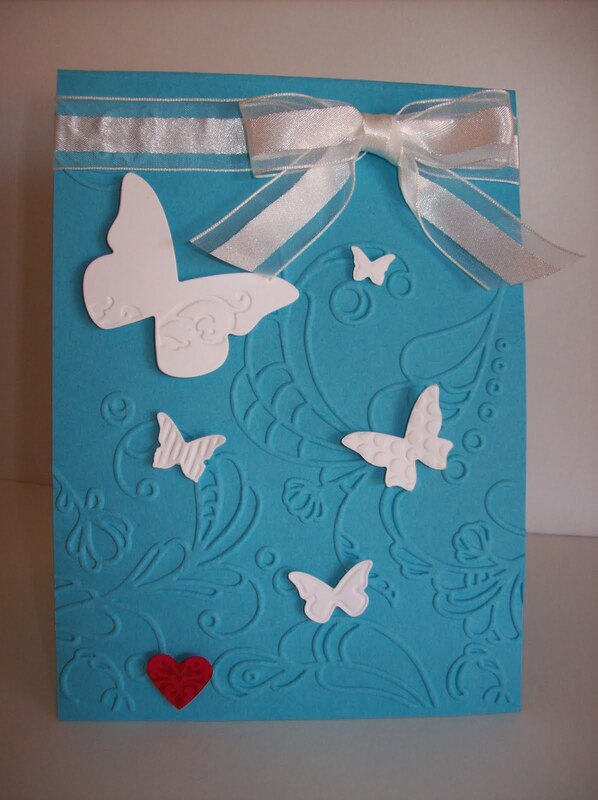 Accessories: Big Shot Machine, Embossing Folder Elegant Lines, Embosslits Die Beautiful Wings, Organza Ribbon and Stampin Dimensionals. PS: Have only just got my Big Shot Machine. Still trying to work it out. Am very grateful for any tips. 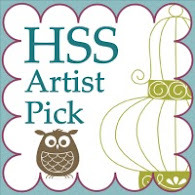 All products used are by Stampin Up! 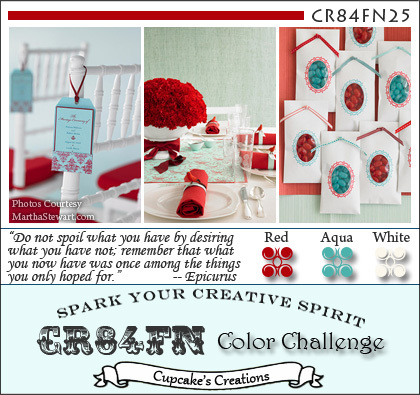 Come on over to CR84FN: ﻿http://cr84fncolorchallenge.blogspot.com/ and join on in the fun. Lovely card - great embossed backing. And I like the way you've used the colours with just a tiny splash of red! 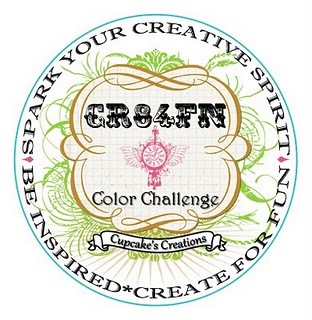 Thanks for playing along with CR84FN this week! Beautiful take on the color challenge - I love that you've used only a tiny pop of red - very striking! Simple theme. Theme images by moorsky. Powered by Blogger.